The purpose of this educational webinar is to examine the Gold STAMP Program in the changing health care environment and highlight the resources available to hospitals, nursing homes and home care agencies through this program. Recognize the significance of Gold STAMP relative to the new Federal rules for long-term care facilities. Recognize the significance of Gold STAMP within Home Care as relates to quality of care, cost avoidance and other high priority areas. 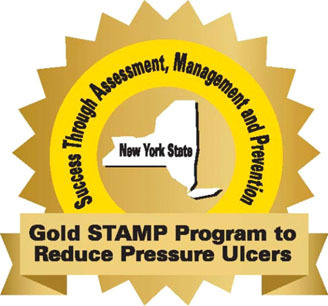 Describe how the Gold STAMP model can be used as a best practice in complying with Federal rules and achieving priority State health goals. Continuing Medical Education Credits are offered until February 29, 2020. Nursing Contact Hours are offered until February 29, 2020. Continuing Education Contact Hours are offered until February 29, 2020.